HD | I JUST WANT 2 RIDE!! From a tweet from HD… LOVE that silver flake! 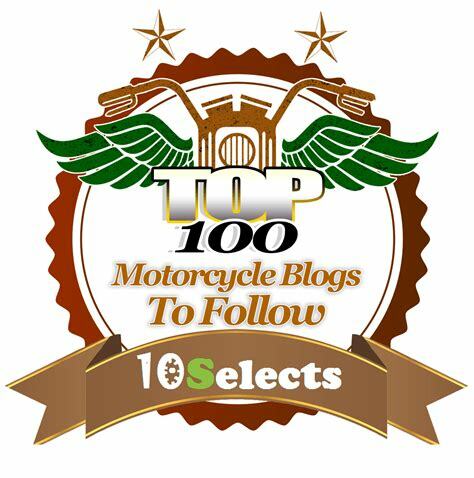 I just read an interesting motorcycle list from Womenridersnow.com. 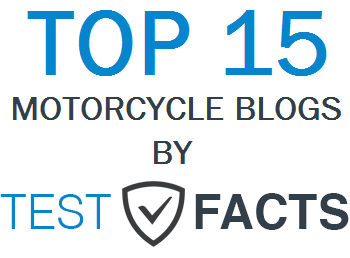 They took their reader’s input and surveys from the last six years and came up with the list of most popular motorcycle with women riders. 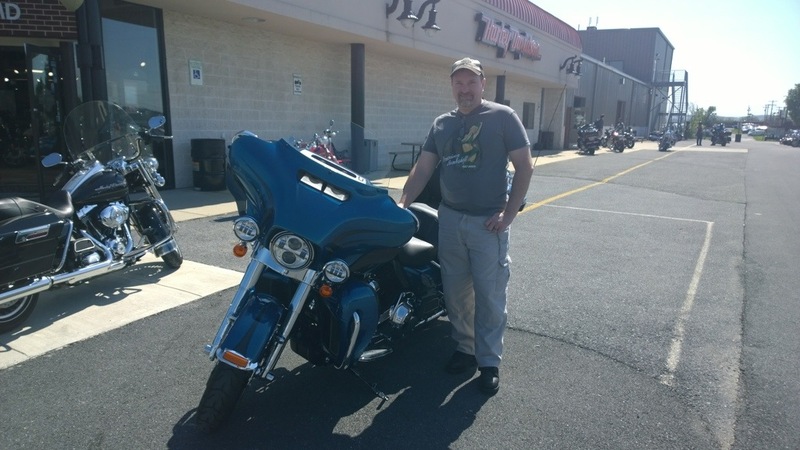 Debbie owned an 883 SuperLow…she is #1 too! All kidding aside a recall that started in Australia a few weeks ago (and reported on The DawHouse #269) has made it to America. Apparently it is possible that the engine vibration at 5800 RPMs could cause the ignition switch to move to the ACC position shutting down the motor. I am sure we all know what could happen if you were doing 80 MPH in the center of a multi-lane highway, just in front of a Tractor Trailer and the engine clicked off….not a pretty picture! 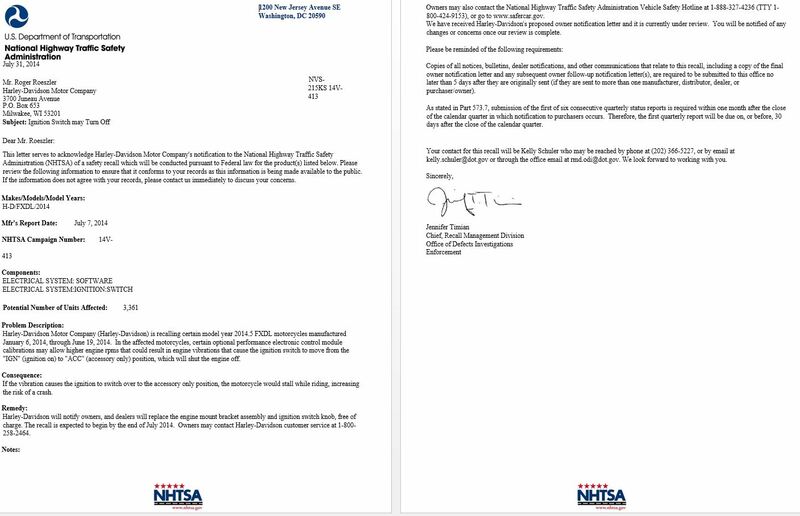 The NHTSA has issued campaign number 14V413000 that affect 3,361 2014.5 Dynas, built between 1/6/2014 and 6/19/2014, in the US (and based on fact that they were recalled in Australia I assume all 2014.5 Dyna motorcycles are affected). This recall is self-reported by HD. 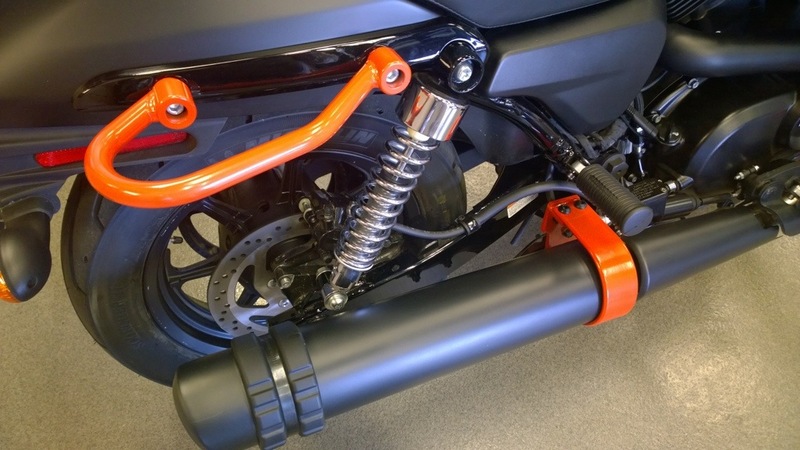 It first found the problem at the end of March 2014 when a bike turned itself off while on a dynamometer. Further testing determined that this was a true safety issue and they reported the recall to the NHTSA at the beginning of July. 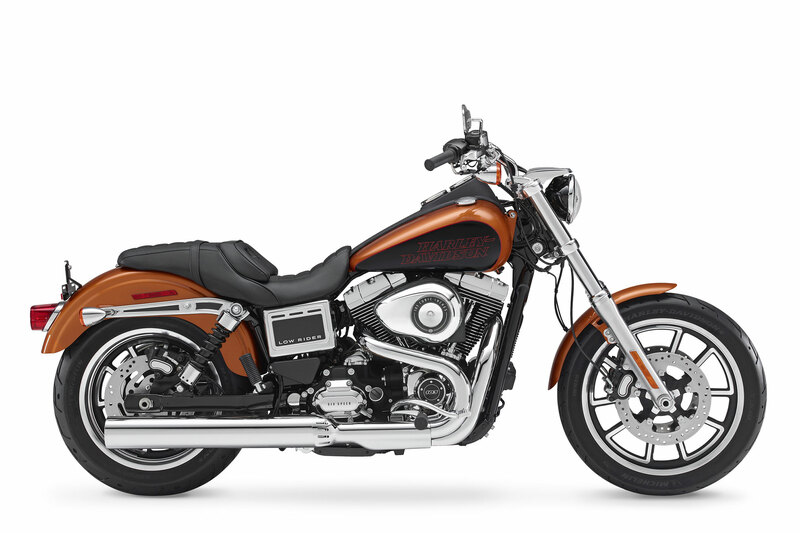 Owners may contact Harley-Davidson customer service at 1-800-258-2464. Harley Davidson “Street” motorcycles spotted in Maryland. 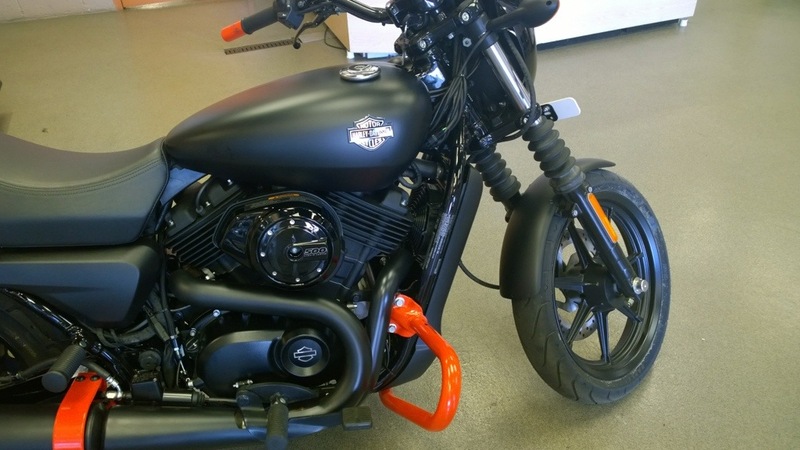 I saw the new Street 500 in person for the first time. I did not get to ride the bike but I saw it being ridden by students in the new rider’s course. My first impression it is quite and at idle very quiet. I was watching the students run through their different drills and when they were stopped I had to listen carefully to realize that they were still running. 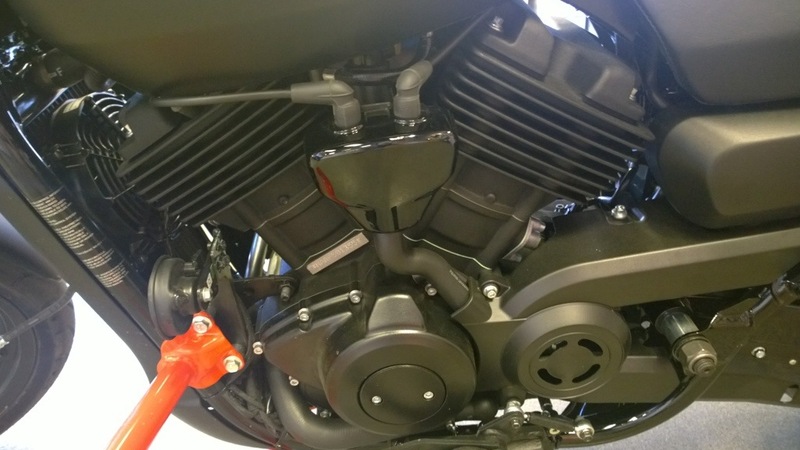 Under acceleration, as when they were performing the drill to get to speed and break hard to a stop, you could start to discern the Harley sound. My second impression was they are small. But, in retrospect, that is what is intended and for their purpose exactly what is required. Also, after riding large touring bikes most every motorcycle is small by comparison. They also appeared to be very nimble. Although I do not know the skill set of the riders in the training course, no one dropped a bike while I was there. They all executed the figure eights and left/right swerves with no issue. The bike appeared to be quite “flickable”. After the rider training had ended I took a closer look and also sat on one. These bikes were rigged with all there protective gear, to insure there are some resell value after a few years on the training course. The bike felt very sturdy and its center of gravity quite low. Just sitting there rocking it left and right, I had the impression that It indeed was bike made to jump around the urban landscape. 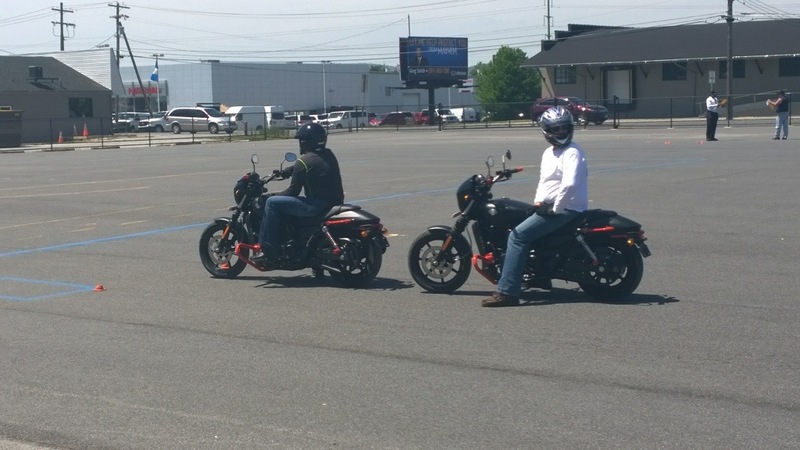 According to the guys at the dealership (Frederick HD), all the bikes they received were for their training program. They would not get any of the bikes to sell until August at the earliest. New motorcycle in the family! After much discussion and checking of numbers Debbie and I have bought a new motorcycle. 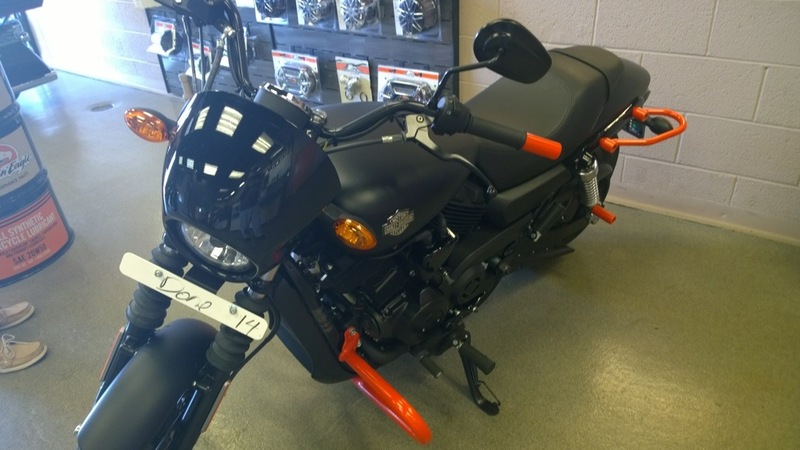 We are now the proud owners of a 2014 Harley Davidson “Rushmore” Ultra Limited! 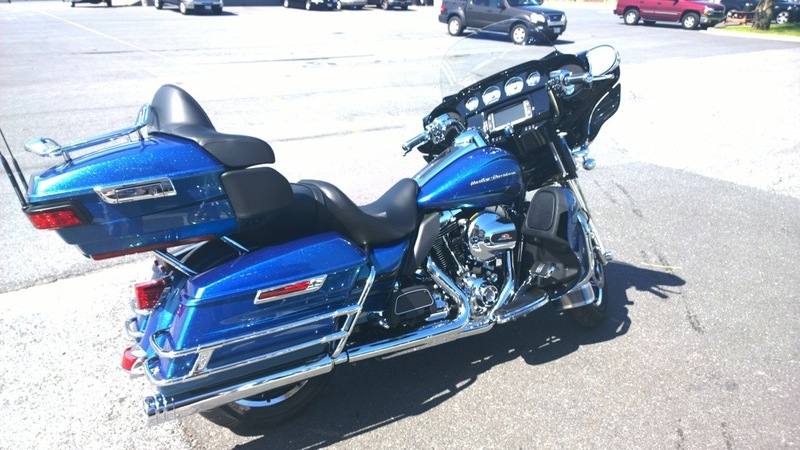 We traded our 2011 Ultra Limited and Debbie’s 883 Low. I was VERY surprised that see tossed her bike into the trade but she stated that she misses riding with me. Plus, she has mentioned a couple of times that, after popping her hamstring and the resulting physical therapy, she just does not feel secure when coming to a stop and holding up the bike. The infotainment system is easy to read, but is going to require some study to fully understand and use. For example, the default country was set to Canada and I have not yet found a way to change that, guess I need to read the manual. After our first ride Debbie did mention that the ride is better than the old bike. She said the passenger area is roomier and more comfortable. The bike is wearing the “limited edition” Daytona Blue paint. I am not sure how limited that paint really is but the metal flake (Debbie calls it sparkles) in the paint really shines in the sun. Weather permitting; we will be taking a long trip to our niece’s high school graduation in a few weeks. 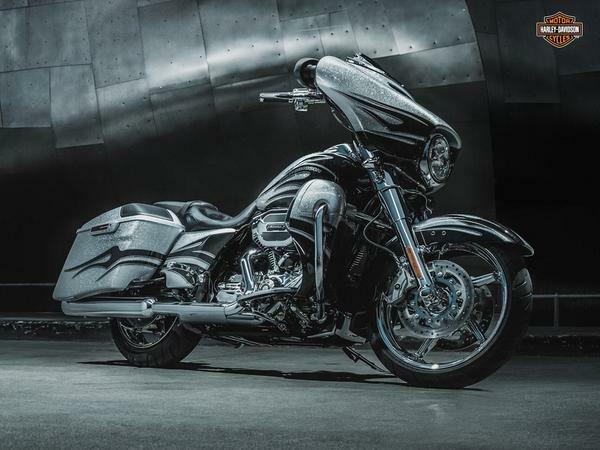 That will be the first real test of the comfort and ride of the 2014 v. 2011. Why am I not into motorcycle racing? I like to listen to the DawgHouse 2 Wheel Radio show . It is a motorcycle podcast which the hosts call “A completely irreverent, totally biased, intellectually challenged and scornful study of the twisted life of the motorcycling world & those who inhabit our planet, all wrapped up in a disturbing weekly show!” and I can’t completely disagree with that description to much 😉 The show use to be on Saturday mornings on a local Washington, DC radio station but was dropped when the station changed formats. It is now broadcast on the internet Tuesday nights. I typically listen to the podcasts during my commute. The last couple weeks they have been discussing and lamenting the fact that motorcycle racing does not have much of a following in the US. So after listening to those shows I sat back and thought about why I am not a follower of motorcycle racing. I do caveat the following this with the fact that I have watched some bike racing on TV, both road and super-cross. 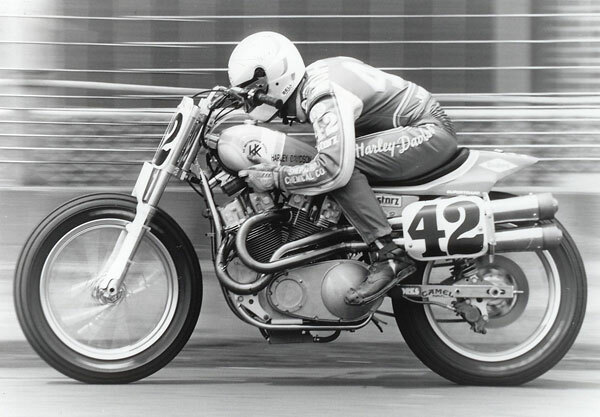 While I am a lifelong rider I have never really followed the road racing scene (in fact I have only once attempted to attend a bike race at BSR/Summit Point but the $30 entrance fee was too much to watch just a small portion of the track). I do follow, loosely, NASCAR and I have even been to a couple races (in the 80s). 1. I want to see more of the race. I can, for the most part, see the entire track at NASCAR and super cross, not so with road racing, car or bike. When I can’t see all the action I do not feel I am getting my money’s worth, I don’t really know what is going on, and unless I am near the start/finish line I have no idea who won. Motorcycle road racing on TV just is not as well coved as a NASCAR (which only has a couple of road races) or as well as the auto grand prix style races which also has attendance issues. This maybe an American predilection for this type of racing. Like our version of football and fondness of baseball, it is neither right nor wrong it just is. With the NASCAR tracks folks can see the action, depending on how thick the beer googles are! And the same applies for our other major American sports, I can see the entire playing field from my seat. I can see the entire track at Supercross and when I see it on TV it looks better attended than any other version of motorcycle racing I have seen. 2. Harley is not road racing. Yeah, I know, but the fact is that the folks you want to watch are the folks who watch NASCAR and ride Harley. My two favorite manufactures are Harley and Honda (Royal Enfield is #3) but there is a large gap between #1 and the rest. So unless I am really enamored with a Honda sport bike (I am not) I have no emotional draw to the sport. Without that emotional pull do I want to pay $30 dollars to see part of race then walk or ride around the track to see different parts of the action? No not really. So what would get me into motorcycle racing? What could be done to fix this situation? I only have one idea which might be used pull people into the sport. First, it will not be road racing. Second it will have to be a V-Twin bike. So what I am thinking is that we have a V-Twin series (NASCAR has car and truck) for those of us not into the sport bike world. It would also have to be an oval (turn left) track. The NASCAR super speedways would be too large for bikes like this but not the short tracks like Bristol could be a lot of fun. 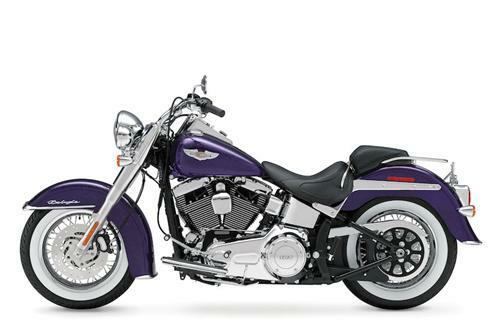 Would Harley, Indian, Victory Star and others compete, would it be a privateer series? I do not know but I do know that I would be more interested in seeing a race of this nature then I would a normal superbike road race. Combine a V-twin race to an oval and I start to think WOW! 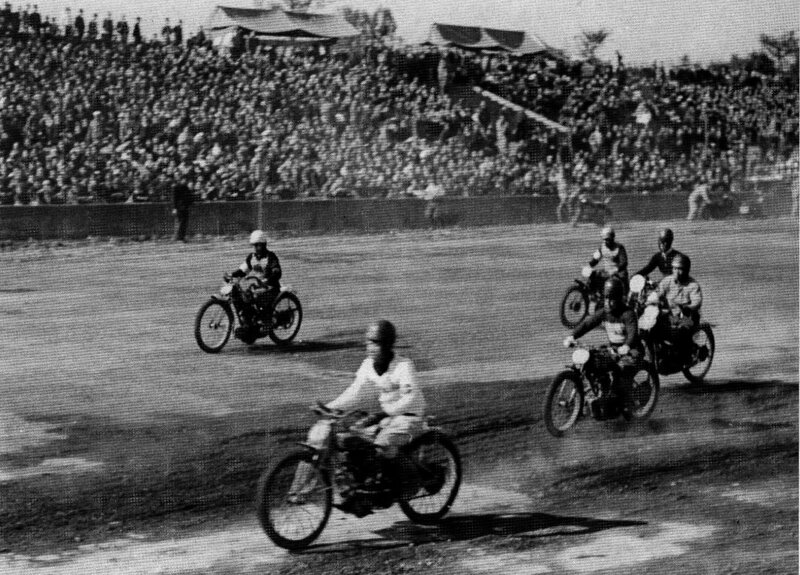 And when I think back to the old pictures of motorcycle racing in the early 1900’s I think of oval board tracks and large crowds. Would I go to the speedway during Daytona Bike Week to watch guys race Harley and Indians, yes I would! A really nice commercial that shows off their York, PA factory. I have been to that factory for an open house and it was as clean then as it was in the commercial. 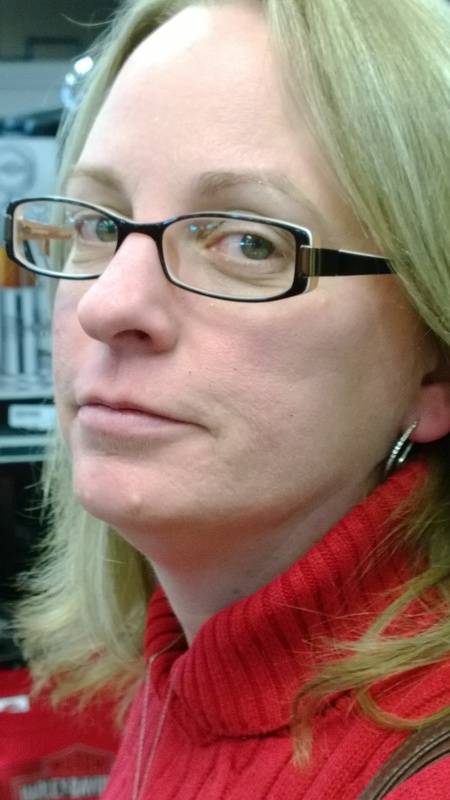 NO… You cannot have the new limted… you get coal! 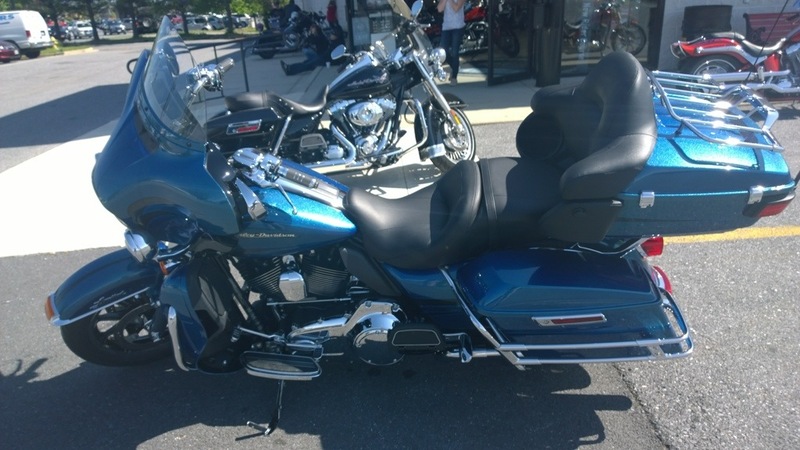 Frederick Harley Davidson had a “VIP RSVP Only Shopping Night” last Wednesday. Debbie and I decided to attend as we had a few Christmas gifts to purchase. Now don’t get me wrong, we know that this is just another tool to get us in the door, but free beer and meatballs!!!! We got there a bit after six and there was already a sizable crowd looking at the bikes and the merchandise. After dropping our names into the door prize box we wondered around for a bit, I was trying to get Deb to give me some gift ideas for her… no dice. After buying a few items (I am getting CHROME for Christmas!) and missing out on the door prizes we decided to call it an evening and head home. I have to say I really like the new format. So far, they show two bike builds each week and they have been good. In the second show, build number one was putting a modern Kawasaki Ninja engine into a Classic Honda CB750 frame. Build two was the taking parts of a Harley Davidson Aermacchi and creating a café bike. Both turned out fantastic! If I had one complaint, and I really don’t, I would like to know how long it took to assemble the bikes, was it a week, a month, months? 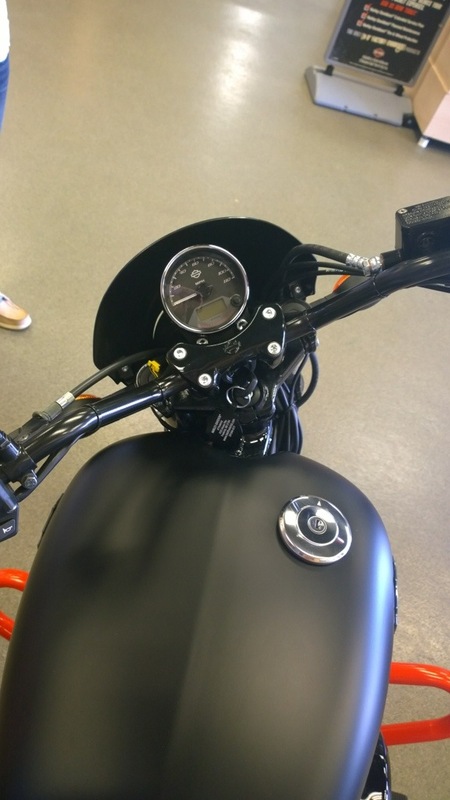 Motorcycling vs. CDC… Is the Centers For Disease Control Trying to Reduce Motorcycle Use? …. 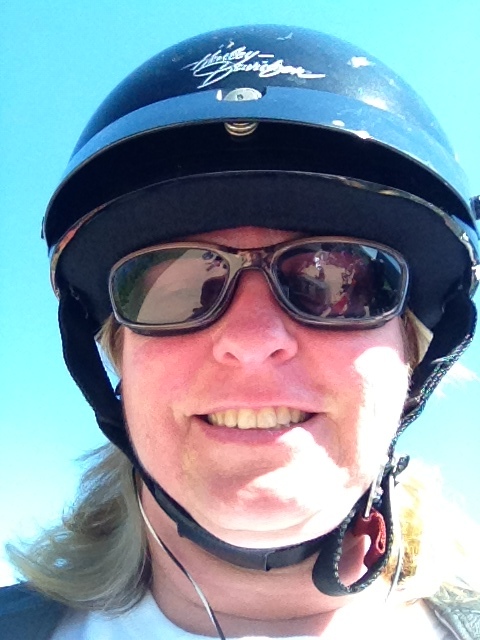 the Task Force’s presentation to the CDC in October 2013 “links the adoption of universal helmet-use laws to a potential reduction in motorcycle riding, which would help meet the CDC’s goal to reduce injuries and fatalities”…. I am so happy that the AMA is jumping in this issue! They have sent a letter to the CDC asking for meeting to discuss the issue. As I noted in earlier posts (here, here, and here), it is my opinion that this is the first strike to make motorcycling a bad health choice just like cigarettes, soda and trans fats. The AMA has created a FAQ that attempts to inform us of what they are concerned regarding this issue. As a community we need to make sure that motorcycling stays out of the health care debate. Please contact your congressional representatives (202-224-3121) and ask them to keep the CDC out of motorcycle safety issues.